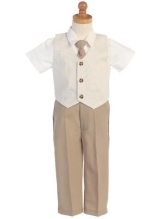 Top quality crisp seersucker 100% cotton eton suit jacket and shorts. A 4 - piece set. Khaki and white stripe. 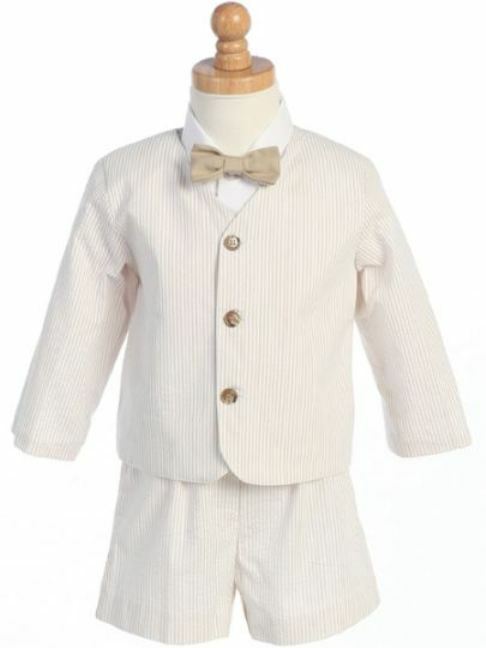 The set includes a lined eton jacket, elastic waist shorts, short sleeve eton white shirt and bow tie. Knee socks sold separately. Also nice with white tee and sandals. 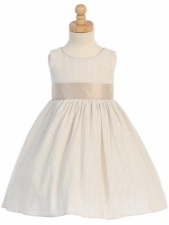 Popular for beach and outdoor weddings. Made in USA. 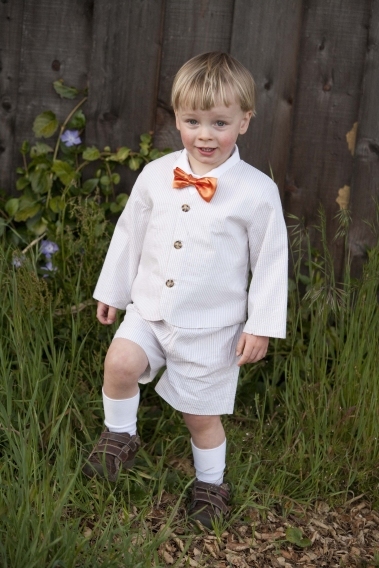 Note - The large picture is with the tangerine bow tie - sold separately - and not the khaki bow tie that comes with the set. A nice color popping option. See coordinating outfits and accessories below. 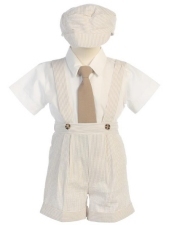 100% cotton for the jacket, shorts, and bow tie - but the dress shirt is a cotton-poly mix .